The 'Perfect Gift' Box is just what it says on the tin. A lovely way to say Thank You, Well Done or Congratulations! 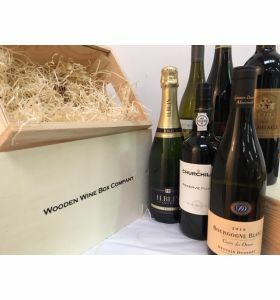 Packed in a quality wooden box your recipient will find a bottle of Henri Blin Champagne, Churchill's Reserve Port, a white Burgundy, a red Bordeaux, an Amarone and a Marlborough Sauvignon Blanc*. *Please note that during busy times we occasionally run low on stock of some wines. In this instance we may replace wines with similar favourites of equal or greater value so you can be assured of a great case.